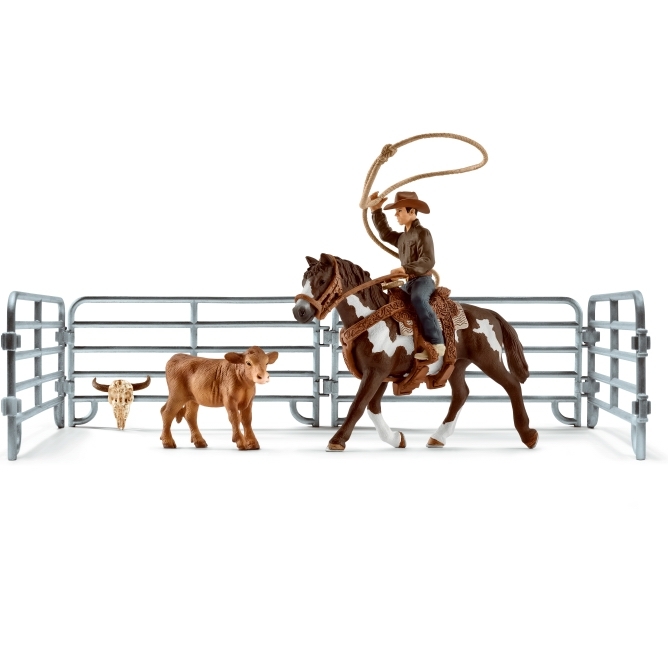 Schleich Team Roping Cowboy 41418 - Toys & Learning - Schleich Specialists - 100% - Fast Service - Sale Prices. This Schleich Team Roping Cowboy is one of the top quality hand finished products from the Schleich range of horses & accessories. All of the accessories with this gift set are extraordinary! Both the horse and calf are beautiful and the fine detailing on everything, especially the saddle is wonderful!